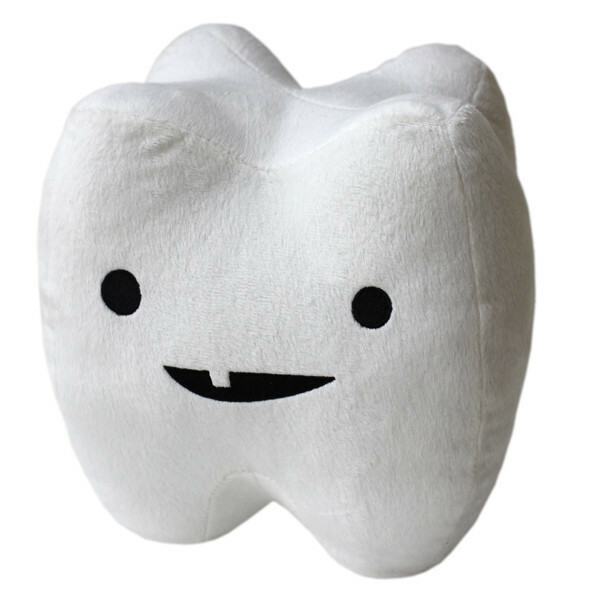 This 7" x 7" happy plush tooth loves to smile. Makes a great mascot for any dentist office. Fun-filled educational hangtag offers wisdom and bite-sized facts about your mouthful of little enamel nuggets. Don't forget to brush, floss and gargle!